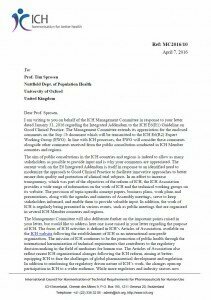 We submitted our letter to the European Medicines Agency (EMA) and the International Council on Harmonisation (ICH) on 31st January, 2016.
Who are the ICH E6(R2) Expert Working Group? So, does this answer our question, who are the Expert Working Group? 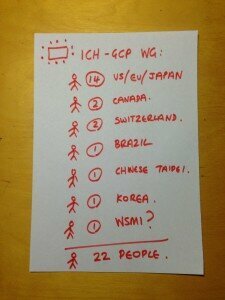 What we do know is that the group has 22 members, have already met to consider the problems with ICH-GCP and wrote the proposed update which we’ve said could actually make things even worse. Are they really “experts”? What experience do they have of actually doing trials? How are the public represented/involved in the working group? Final question, at the bottom of the slide above it says the working group has an observer from WSMI, like us, you might be wondering who WSMI are? I Googled it and came up with the “World Self-Medication Industry”, which you can found out more about here. 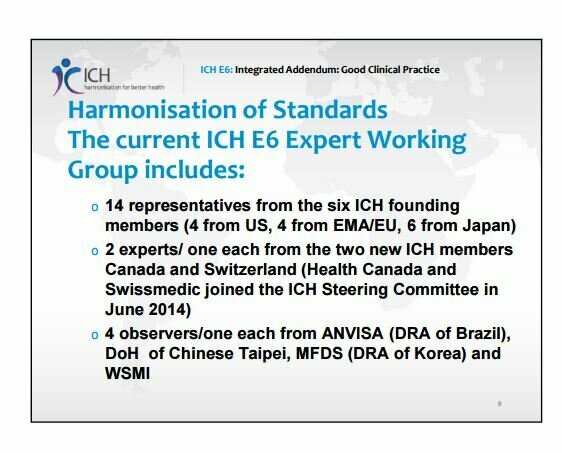 The ICH response sets out the recent changes to the structure of the organisation, which now means that they can now engage with a wider audience beyond just regulators and industry. Obviously, time will tell whether this happens in any meaningful way. The other point in the letter is about being able to become involved in ICH as an “observer”. My own experience of that is it can problematic in the sense that the decision-makers tend to take on board the things you say that they like and ignore those things that they don’t. I got such an email on 16th May from the EMA inviting a delegation of 6 of us from the MoreTrials campaign to attend the next ICH meeting in Lisbon in June. Having been ignored for the best part of 20 years, this seemed like it could be the start of a really significant change, that the door to ICH might for the first time be opening? You can read more about it here and what happened next here and here. Read about the update here.